First up, comes the welcome news this week that Timberlink has given the green light to a AU$100 million investment in their Australian sawmilling business; the Tarpeena operation in South Australia and the Bell Bay site in Tasmania. The major upgrades are planned to take place over the next three years and are expected to increase the wood processing capacity of the company by over 15%. As reported by AFPA, with previous capital upgrades, Timberlink has already increased its capacity by 50 per cent since it took over the two sites in 2013. For more good news, we’ve built in a story this week put out by a forestry company, OneFortyOne Plantations. Its forest estate is located in the same region as Timberlink’s Tarpeena sawmilling operation. The release is certainly eye-catching. Around 5.5 million trees have been planted by the company over this last planting season. The message on the number of trees being replanted though isn’t really though the focus for the article for forestry readers. The underlying messages from the media release clearly coming through are; the sustainability of the forestry industry, the replanting efforts that have been made after the devastating fires 35 years ago, the subsequent benefits of replanting to the region, the love of working out in the forest for the planters involved and the family connections to the industry. The messages are being relayed through the profiling of one of their tree planters, someone who’s been working in the industry for some 35 years and is proudly following in his father’s footsteps. Congratulations to OFO. Outside of the planting efforts made this winter by the company, here is an excellent example of just how we can better profile the industry and what it offers to the wider community. It has in just a few short paragraphs being able to describe those key attributes of our industry that we all try to espouse. 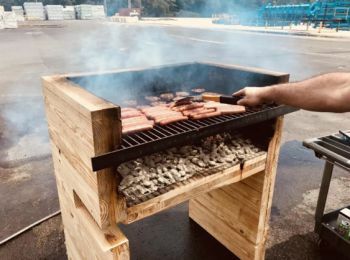 Speaking of good promotions, construction and the subsequent reporting on a BBQ made out of NZ produced CLT to promote the fire resistance properties of the material isn’t bad either (although it was copied by a Chinese CLT manufacturer within a couple of days). We’ve also included this week results from recent market analyses. The first is an analysis of the North American lumber market by FEA Holdings, Canada. Analyses of consumption, production and pricing point to an optimistic outlook for sawn softwood markets to the end of 2018 (and most likely into 2019). The second report details the results from the quarterly Australian timber market survey from the Indufor Group. Most products surveyed showed upward price movements over the period with one of the better performing product lines being structural hardwood products with prices climbing between 2.5% and 5.6%. And finally, as mentioned in previous issues, details on the ForestTECH 2018 annual technology series for local forest resource managers and inventory foresters have been uploaded to the event website www.foresttech.events for several weeks now. Registrations are already rolling in. The programme flyers were also direct mailed to many of you this week. 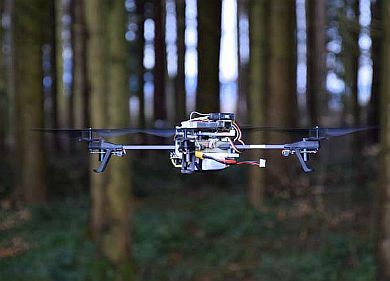 Some pretty exciting new innovations around drone use operationally in the forest are being profiled for the first time this year. We’ve included in this week’s issue a short story and video clip from the Interpine Group showing how drones have been used out in the forest over the last planting season to improve planting productivity. That’s it for this week. Enjoy this week’s read. Innovative, tall timber framing has risen on the University of Canterbury’s Ilam campus, as a new building, honouring alumna ‘Queen of the Cosmos’ Beatrice Tinsley, advances multi-storey timber-framed construction in New Zealand. 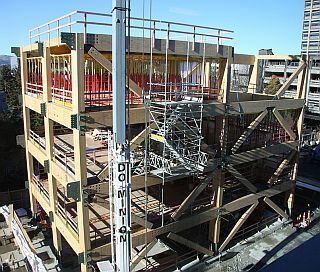 Construction of the Science precinct’s impressive new four-storey, timber-framed Beatrice Tinsley building contrasts with the steel framing typically seen in buildings of similar height and size. The patented, tall timber-framing technology was developed at UC by Civil and Natural Engineering professors Alessandro Palermo and Stefano Pampanin with support from Emeritus Professor of Timber Design Andy Buchanan. The structure uses timber-framing technology called Pres-Lam and is a post-tensioned seismic damage resistant system that pushes the boundaries of multi-storey timber-framed construction in New Zealand using laminated veneer lumber, which has incredible strength. It will be the first multi-storey building combining timber moment-frames and cross-braces in New Zealand. A moment frame is a two-dimensional series of interconnected members that uses rigid connections. It can resist lateral and overturning forces, is more flexible than other framing and allows larger movements in earthquakes. "The post-tensioning rods act as rubber bands and re-centre the structure during an earthquake. Additionally, steel angles act as dissipative fuses that will absorb the energy of an earthquake. The angles are external to the timber members and replaceable allowing for reduced disruption following an earthquake," Professor Palermo says. This UC-designed technology is being taught to UC engineering students and is being used in buildings world-wide. "New Zealand is a world leader in this sector. By teaching our next generation of engineers this technology and similar earthquake design philosophies applied to other materials, we will make our built infrastructure more resilient," Professor Palermo says. 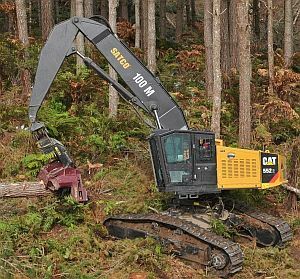 The Tasmanian forest industry is on an even keel after several challenging years, with a new report showing employment and spending have stabilised after a period of decline, and are growing in some parts of the industry. 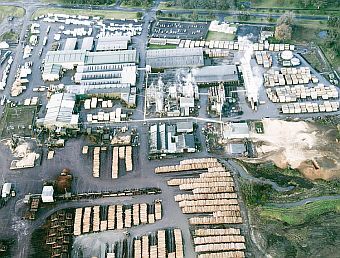 According to the report ‘Socio-economic impacts of the forest industry – Tasmania’ funded by Forest and Wood Products Australia (FWPA) and the Commonwealth Government’s Department of Agriculture and Water Resources, a total of 5,727 jobs were generated by the industry as of 2017-18, including 3,076 direct jobs and 2,651 in other industries due to flow-on effects. The forest industry directly contributed more than AU$700 million to the value of Tasmanian output during the last financial year, increasing to AU$1,277 million once flow-on effects to other industries were included. The research was conducted by the University of Canberra, in conjunction with consultancy EconSearch, a division of BDO Advisory. Lead researcher Associate Professor Jacki Schirmer explained the key findings. “Rapid decline in employment from 2008 has stopped, with job numbers stabilising post-2013. The overall stabilisation is due to two different trends, namely the decline in native forest dependent jobs during this period being offset by growth in jobs in harvesting and wood chipping of hardwood plantations”. “The forest industry remains important to many Tasmanian communities and it’s positive to see it recovering. However, growth will only continue for the longer term if there is investment in more downstream processing,” Assoc. Prof Schirmer said. The new report also reveals 41% of jobs depend on native forest, 33% on softwood plantations and 26% on the growing hardwood plantation sector. Jobs are located around the state, with 38.6% located in the Southern region, 37.4% in the Northern region and 24.0% in the Cradle Coast. Across Tasmania, the areas with the highest reliance on the forest industry for employment were Dorset with 9.3% of workers directly employed in the forest industry, Circular Head with 6.6%, Derwent Valley with 6.5%, George Town with 6% and the Central Highlands with 5.4%. The Tasmanian forest industry generates more full-time jobs than other parts of the Tasmanian economy, with 82% of those employed in the industry working full-time in 2016, compared to 60% of the broader workforce in Tasmania. While challenges were also reported in parts of the industry, including difficulty recruiting some types of workers, Assoc. Prof Schirmer said businesses were reasonably optimistic about future demand for forest products. 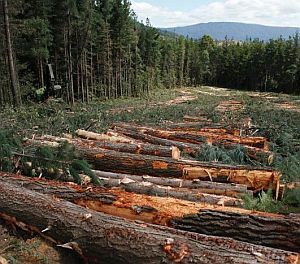 The full report Socio-economic impacts of the forest industry – Tasmania report is available on the FWPA website. 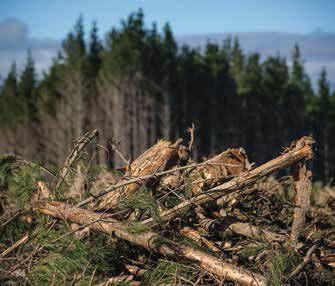 Bioenergy production using wood from locally grown and sustainably managed forests can provide one of the lowest carbon energy options for New Zealand. 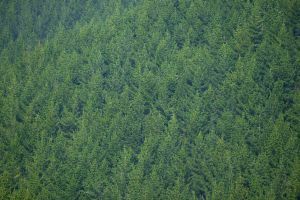 New information from Scion explains the role of planted forests in the plant-driven carbon cycle. The amount of carbon in the plant-driven carbon cycle remains constant. In contrast, when fossil fuels are burnt for energy, the total amount of carbon in the atmosphere increases and contributes to climate change. 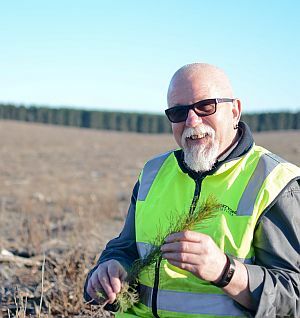 Using purpose-grown planted forests to supply timber, fibre and energy, New Zealand is in a unique position to produce energy with life cycle emissions approaching 2 to 4 per cent of those from coal and gas. Replacing coal, gas and fuel oils with forest harvest debris and wood processing residues and other biomass will help New Zealand meet its international commitments to reduce emissions under the Paris Climate Agreement, and move towards becoming a net zero carbon economy. The information piece is available here. With strong prices in the U.S., optimism persists in the softwood lumber business. Russ Taylor, Managing Director, FEA Holdings has provided a recent analysis of the North American softwood lumber market (Extracted from the Sawn Softwood chapter of the UNECE/FAO Forest Products Annual Review 2017–18 and other sources). Demand in North American sawn softwood markets increased steadily in 2017 and the H1/2018. U.S. housing starts improved last year (though at a slower rate than in previous years), reaching 1.208 million units (+3.0% versus 2016). Single-family housing grew quickly (+8.6%), while multi-family starts declined (-9.7%). Indications point to about 1.30 million housing starts in 2018, and potentially more. U.S. residential improvement expenditures (an even larger driver of lumber demand than housing) continued to surge in 2017 due to rising home equity and aging housing stock. Industry-based promotional efforts, such as the Softwood Lumber Board initiative, continue to increase wood use (including cross-laminated timber) in taller/larger apartment and non-residential buildings, and are attracting interest both in North America and worldwide. Off-site construction is another emerging trend. Such initiatives should lead to further increases in North American sawnwood consumption. The U.S. economic outlook is relatively healthy, with GDP growth projected to be in the range of 2.7–2.9% annually through 2020. Apparent North American sawn softwood consumption was 99.2 million m3 in 2017, up 2.9% from 2016. Of the total consumption in 2017, 81.4 million m3 was in the U.S. (+1.5%, y/y) and 17.8 million m3 was in Canada (+10.1%). U.S. sawn softwood output in 2017 reached 57.6 million m3, up 3.5% versus 2016. Production gains were the highest in the U.S. South (+5.1%), followed by the Midwest/Northeast regions (+4.2%) and the U.S. West (+3.0%). 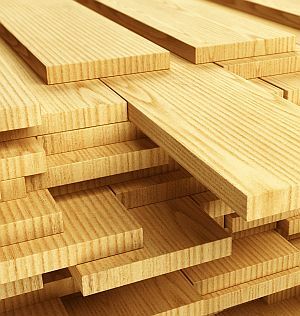 The ongoing depressed prices for standing timber in the U.S. South are a result of excess/unused growing stock. 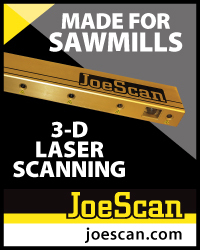 The South accounts for more than 50% of U.S. production and, given record lumber prices, sawmills are achieving the highest earnings worldwide. The U.S. West continues to face tight log supply, with strong export demand and log prices keeping coastal log prices high; as a result, sawnwood production is growing only slowly. In addition, impending Chinese import duties (scheduled for August 23) will impact U.S. log and sawnwood exports to China. Canadian sawn softwood production was unchanged in 2017 at 48.2 million m3. B.C. Interior output (accounting for 41.2% of national production in 2017) declined by 4.5%, while output in the rest of Canada grew by 4.1%; the largest gains were in Ontario (+12.8%). Permanent duties averaging 20.23% (the “all others” rate) commenced in late December, becoming one of the catalysts for rising U.S. lumber prices. Lumber prices, based on the Random Lengths framing lumber composite price index (FLCPI), increased by 84% between the start of 2017 and the peak in early June of this year, moving from US$356 to US$582/Mbf ($222/m3 to $363/m3, net count). This price spike was tied to steadily expanding demand and the co-occurrence of several supply shocks in British Columbia (one of the world’s largest producers of softwood lumber). This was exacerbated by the mountain pine beetle infestation that has affected more than 18 million hectares in the Interior region, killing some 54% of the area’s merchantable pine and ~20% (10 million m3) of its annual allowable harvest. Because of strong U.S. sawnwood prices and tight supplies, prices in most major global markets also rose in U.S.-dollar terms in 2017 and the first half of 2018, continuing a positive cycle that began in late 2015. Japanese prices for imported North American lumber soared to record levels in Q2/2018. European prices were relatively subdued in 2016 but climbed in 2017 and H1/2018. The demand forecast for sawnwood in the U.S. for the rest of 2018 and into 2019 is positive. With tightening sawnwood supply factors and permanent import duties on Canadian lumber exports now in place, U.S. lumber prices are expected to stay well above pre-2017 levels for the next few years (despite a fast correction from the record highs witnessed in early June). The continuation of positive economic drivers and the potential for a general tightening of the sawnwood supply/demand balance suggest an optimistic outlook for sawn softwood markets to the end of 2018 (and most likely into 2019). In North America, a sawn softwood supply shortage looms in the face of steady increases in demand. Soaring imports from Europe and other countries at very high prices is the new dynamic creating volatility in the U.S. market. Forest and Wood Products Australia, in collaboration with the ARC Centre for Forest Value – (University of Tasmania), Future Timber Hub (University of Queensland), ARC Training Centre for Advanced Manufacturing of Prefabricated Housing (The University of Melbourne), invite you to attend a workshop on Next Generation Timber Products and Systems. Details on the event can be found here. It will run on Thursday 13 September at the Melbourne Business School/ Lecture Theatre 4, Melbourne. 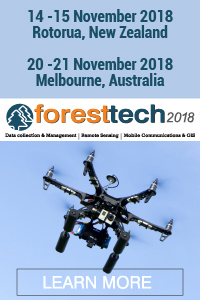 The programme is aimed at technical managers, marketing, sales and business development representatives from within the Australian Forest Product industry. The seminar and workshop topics will revolve around Australia’s R&D capacity to consider future market opportunities, assess risks and threats and address possible solutions. You’ll hear about the latest research activities from Australian research groups from three states (see above) and discuss potential opportunities for collaboration. Note: For those attending the two-yearly Australian Wood Manufacturing event on 11-12 September ( WoodTECH 2018, you may well look to stay on an extra day to link into the R&D event being planned on the Thursday. According to a news report, a certain private school in Washington was recently faced with a unique problem. A number of 12-year-old girls were beginning to use lipstick and would put it on in the Bathroom. And that's it for this week. 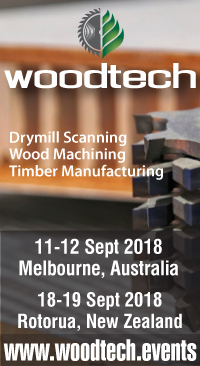 We're looking forward to meeting up with a large number of wood manufacturers and drymill operators from throughout Australia in Melbourne next week for the first leg of the WoodTECH 2018 series. See you there.